Enterprise Ireland are working to help Irish SME’s to get their first taste of expansion by offering three available private office spaces in their business incubation facility. The past number of years have seen a strong recovery by the Irish economy that has surpassed all expectations. This has been led by robust export growth but there has also been a strong rebound in domestic demand, including business investment, construction and consumer spending. The Treatment Benefit Scheme is a scheme run by the Department of Employment Affairs and Social Protection (DEASP) that provides dental, optical and aural services to qualified people. The Treatment Benefit Scheme is available to insured workers and retired people who have the required number of PRSI contributions. Edit, export and view documents efficiently while you are on the go. Create new documents or edit existing files on an easy to use app that also allows you to collaborate with colleagues in the same document at the same time. You can even work offline if you need to. Create teams and message each other, assign tasks and create deadlines. Helpful for managing multiple projects with different groups of people. Easy and secure access to Revenue’s services to help you manage your Irish tax affairs, on the go. This also gives you access to Receipts Tracker – the easy way to record and manage receipts for your expenses. This app brings together news, popular stories and conversations around any interest or passion. Download the app, select your interests and Flipboard will create a magazine just for you. You will never have to worry about not being near a scanner again. Use this app to turn your smartphone into a scanner. This app also turns the scanned documents into PDF’s for safe distribution. 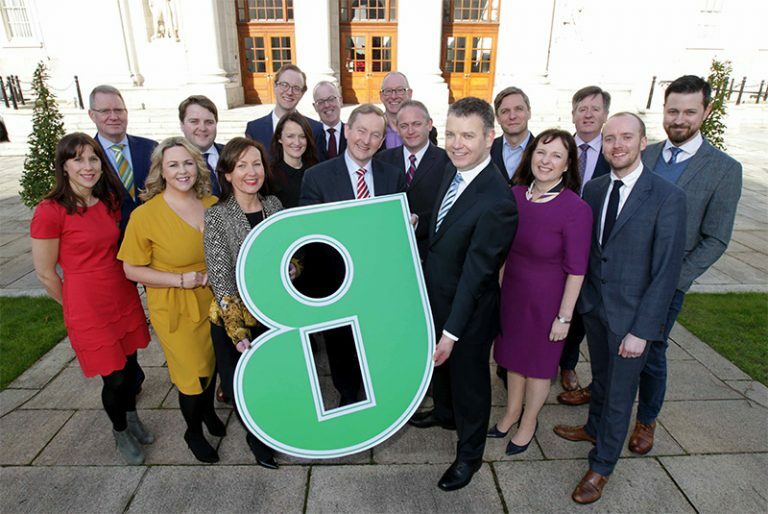 We were delighted to attend the relaunch of the Guaranteed Irish brand with An Taoiseach Enda Kenny and Board members and supporters of Guaranteed Irish. GI members support 30,000 jobs in Ireland, contribute to their community and have a positive long term interest in Ireland. As members of GI we connect businesses all over Ireland and Irish communities across the world. If you wish to join Guaranteed Irish contact Anthony Casey and we will be delighted make the introduction.